*Information courtesy of Maureen Mullin, Librarian, Cleveland Public Library. 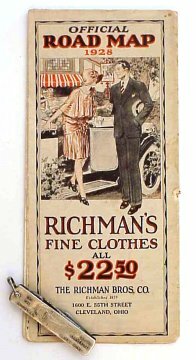 Richman's 1928 "Official Road Map" gave the addresses of 31 Richman stores in 30 cities. A client could buy a suit, a topcoat, or a tuxedo in any of these stores for $22.50. 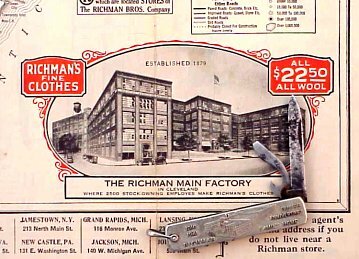 If no stores were convenient, catalogs and woolen samples were available by mail. 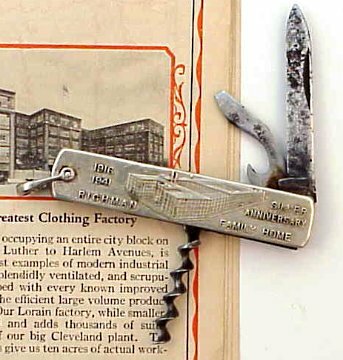 A 1916 Richman Bros. Co. catalog.